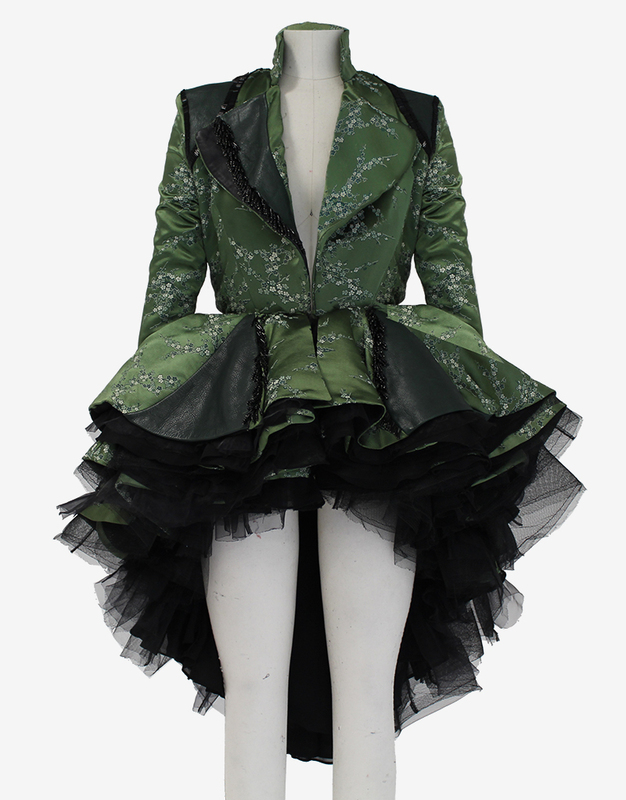 The one-of-a-kind Jade Silk Jacquard Cherry Blossom jacket. 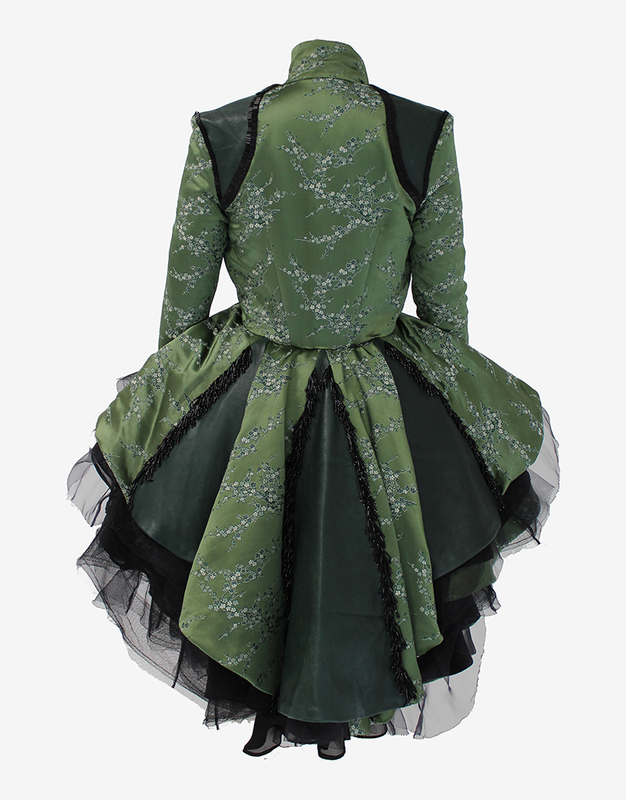 Perfectly pieced out with green leather and each seam hand beaded with beautiful double stacked delicate black glass bugle beads topped off with one seed bead. 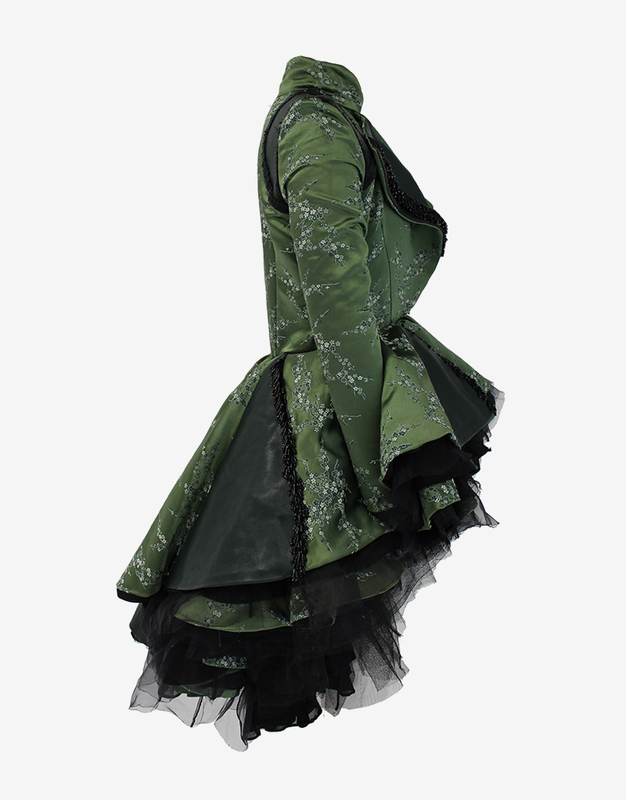 The lower peplum is stacked with over 30 layers, each layer slightly longer than the next. Each layer containing 12 separate pieces.